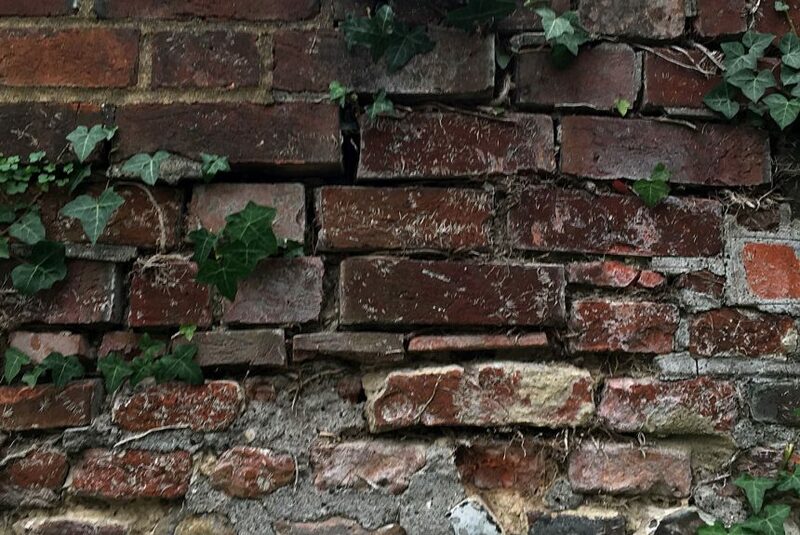 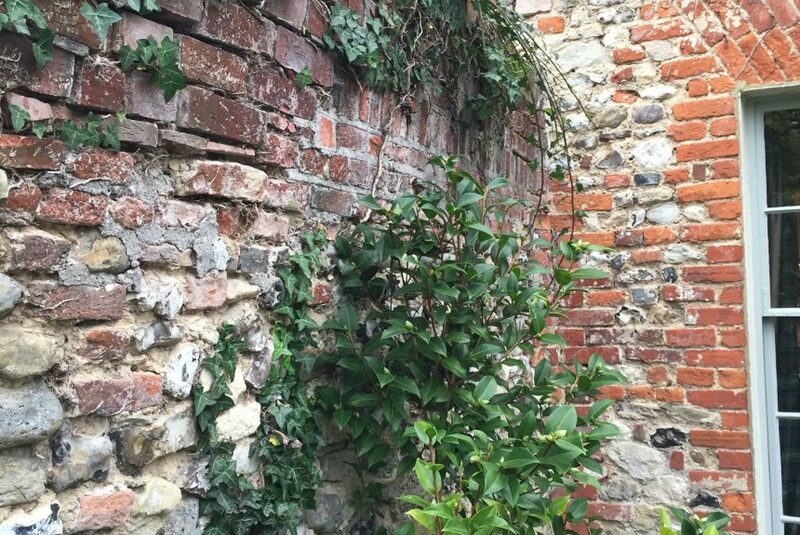 This wall had fallen into disrepair and was becoming dangerous. 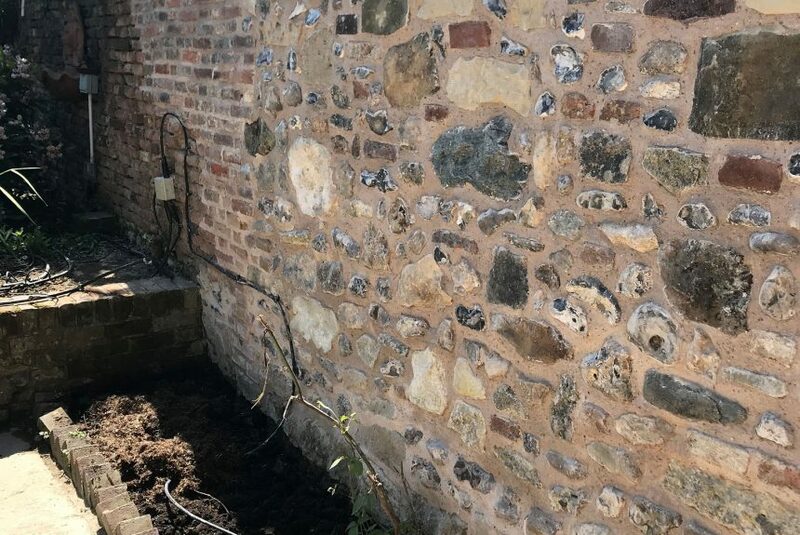 We had to rebuild a full section of the wall and knit it in to the existing brickwork. 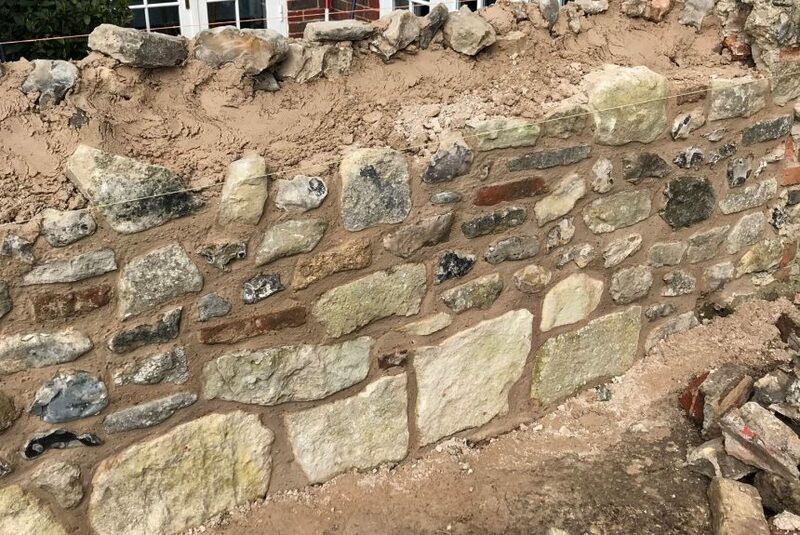 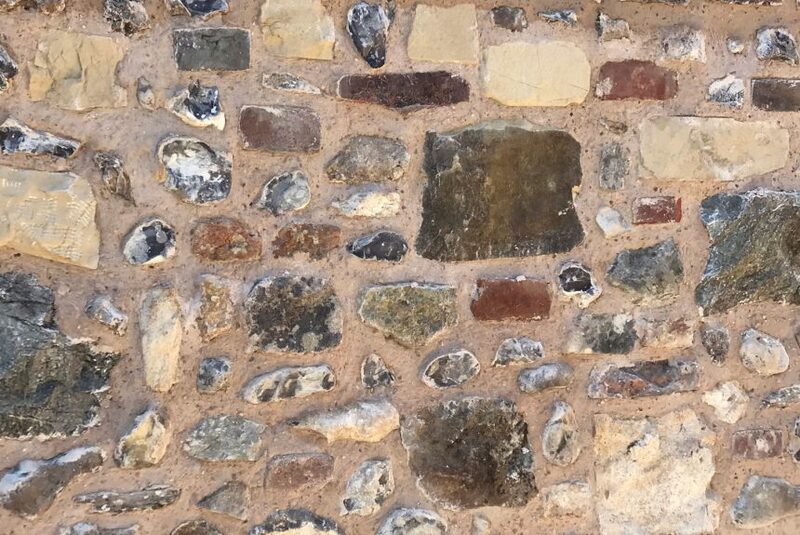 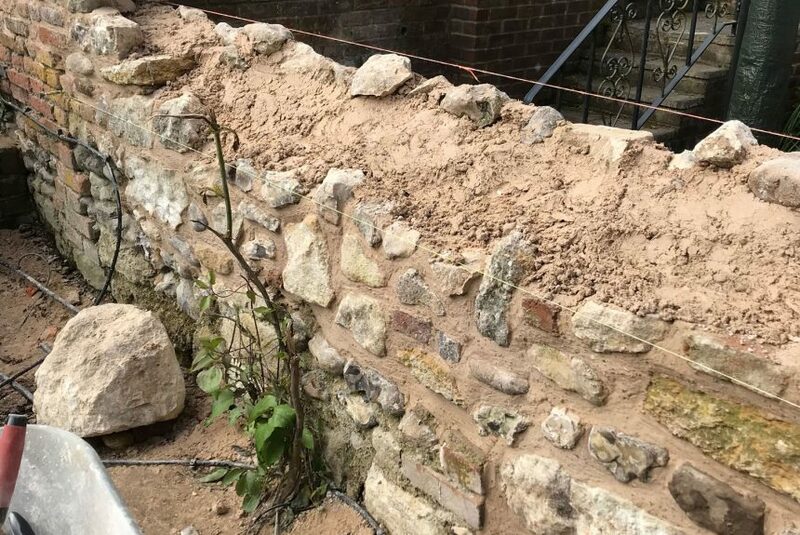 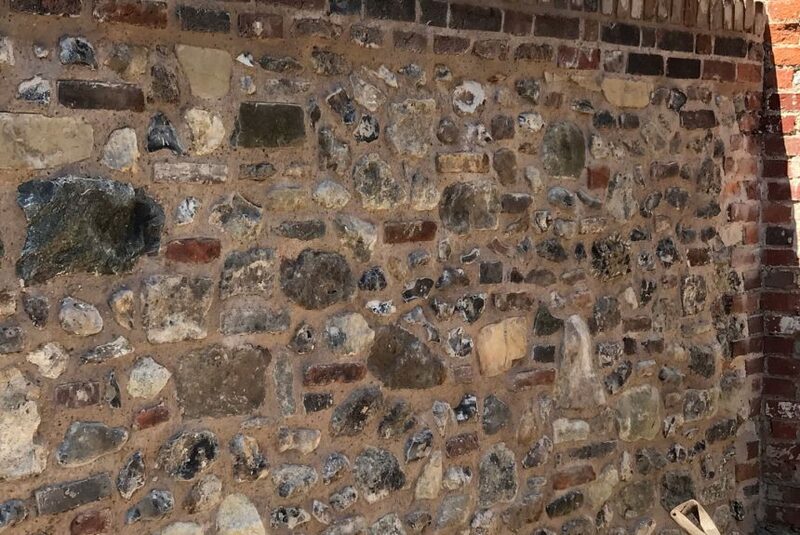 Our skilled craftsmen used a lime mortar mix with new flint and stone work to match in with the conservation area.